With Spectacle Lenses, there is a wide range of available features. New technologies has brought us a range in lens power that is virtually unlimited. However, not all available features are right for all of our patients. As such, we provide you with a brief discussion of each of these features so when you visit our office you will have some ideas of what features might work best for you. We will discuss all of these and how they fit your needs. 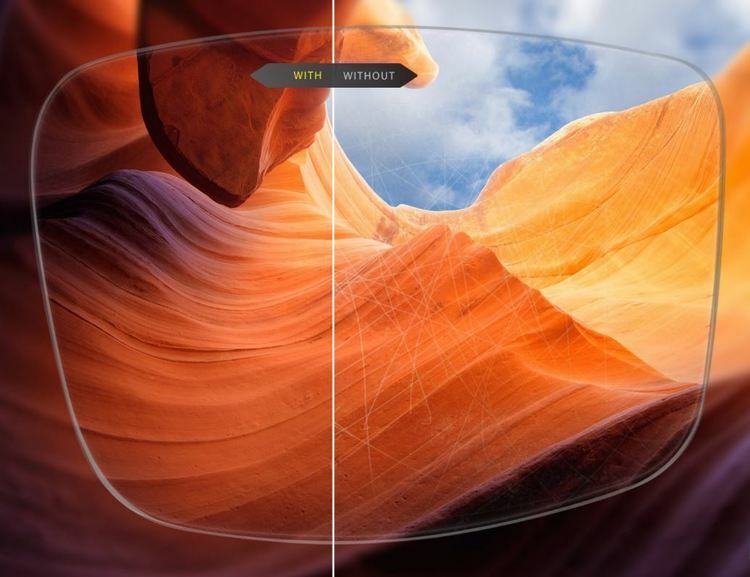 Lenses are often tinted for a variety of reasons. Sometimes the color is just accent to the already stylish frame. Other times the patient is super sensitive to bright light (Photophobia). Migraine headaches or severe allergies are a few of the reasons for this. Tints can be a "solid" color, where the color is the same throughout the lens. Tints can also be a gradient where the top of the lens is dark and the bottom of the lens is clear. This is useful for those who are sensitive to overhead fluorescent light but when they are trying to read they want all the light they can get. [Anti-reflective Coating (ARC) Lenses] When you look at a high quality camera lens, you will note a purplish sheen to the surface of the lens. This is an Anti-Reflection (ARC) Coating which is baked on the lens. 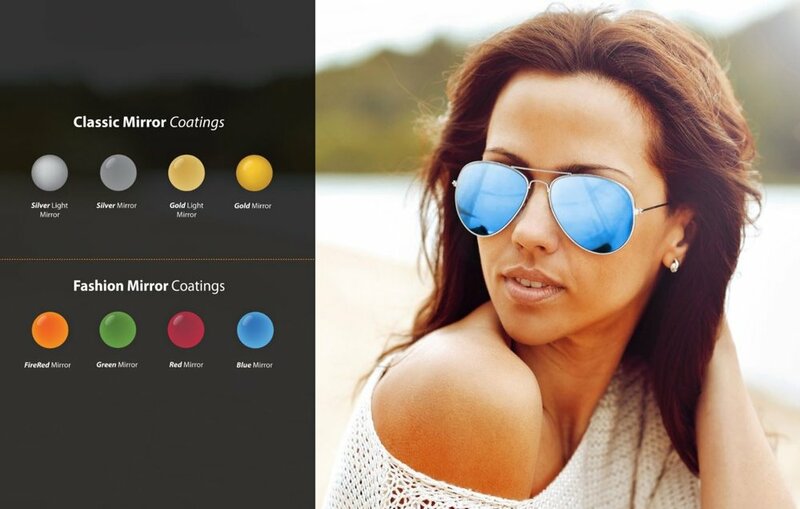 This same anti-reflection coating is available in your glasses. This coating reduces reflections and glare from lights by over 80%. This feature is particularly useful when driving at night, when there is a multitude of streetlights and car lights that are reflecting off the surfaces of your lenses. Glare while driving or while on a computer can create a lot of visual discomfort and distraction. It is important to know there are different grades (Category A, B, C, and D with Cat. D being the highest grade) of ARC and premium grades (Cat. C & D) are usually multi-layer coating that may include scratch coat and blue light shield. 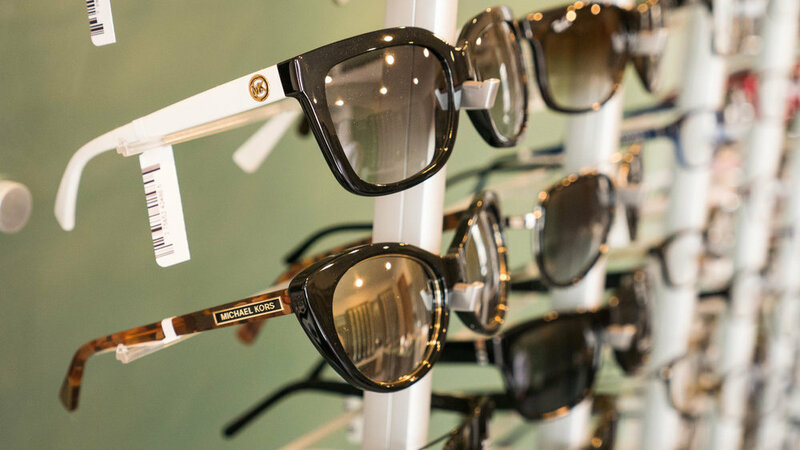 Ask your optician about details of the specific type of ARC that you are getting. Another great feature of a premium grade ARC is that it is "Hydrophobic" and "Oleophobic". This means that a lens with premium grade ARC on it repels water and oil, and most of the premium grade ARC has the hard coat finish built into it, which provides the same characteristics and benefits of the Hard Coat finish discussed above. In addition, most of the premium grade ARC are also Anti-Static so the coating resists dust built-up and helps lenses to stay cleaner.